Just got back from a weekend staying with my parents, we went to Over farm yesterday, it is where they took the children fruit picking a fortnight ago, although the fruit picking season is done now. There are animals there to see, and it is free!! We did not see the donkeys doing this while we were there though. It is a cool place, there are pot bellied pigs and gloucester old spot, goats, ponies, chickens (lots) an Ostrich and a big bull/buffalo thing. 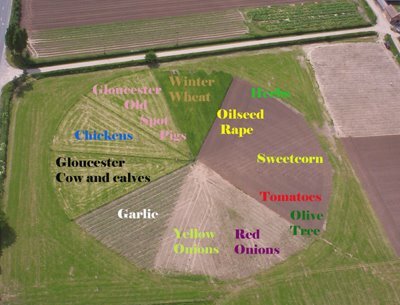 There is also a living pizza, a field divided first into a circle then into segments, with different crops in each section showing all the different bits of a pizza growing, wheat for flour, onions, sweetcorn, herbs etc. 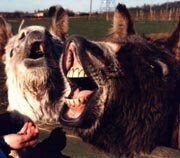 the donkeys were in the pizza field too yesterday but I have never had donkey pizza and hope they were just visiting. We had a picnic and bought lots of fresh produce from the shop, yum. What a cool pizza crop rotation.